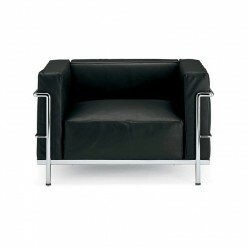 The elegance and style of Le Corbusier's work is only too evident in this range of upholstered seating, available with either a polished chrome or lacquered round tubular frame. 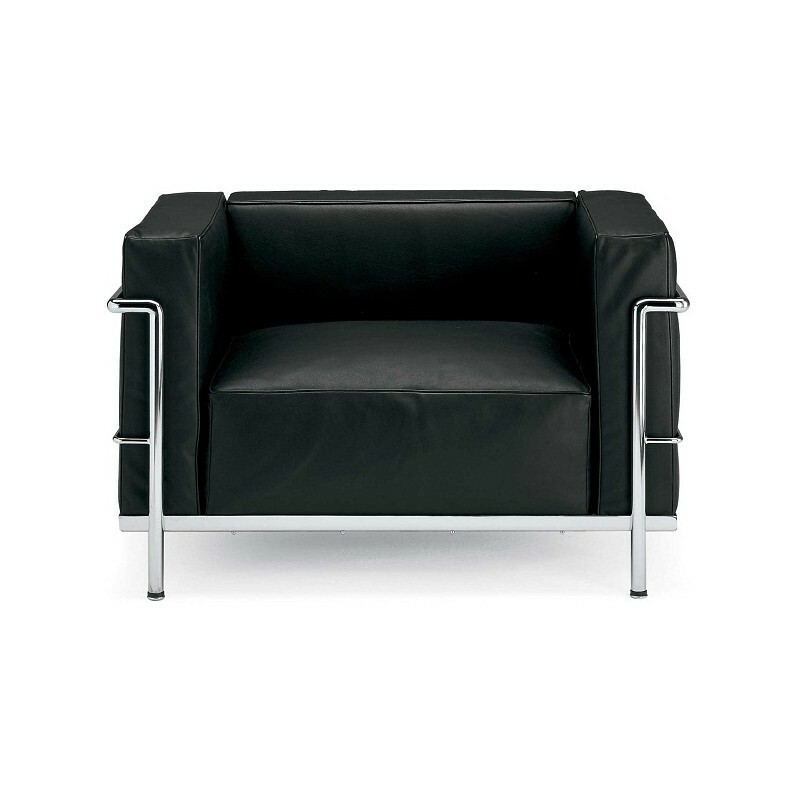 Cushions stuffed with polyurethane foam with polyester top layer, then upholstered from a huge variety of fabric options (pictured in black leather). Please note that this range of hand made items has a five week delivery time.